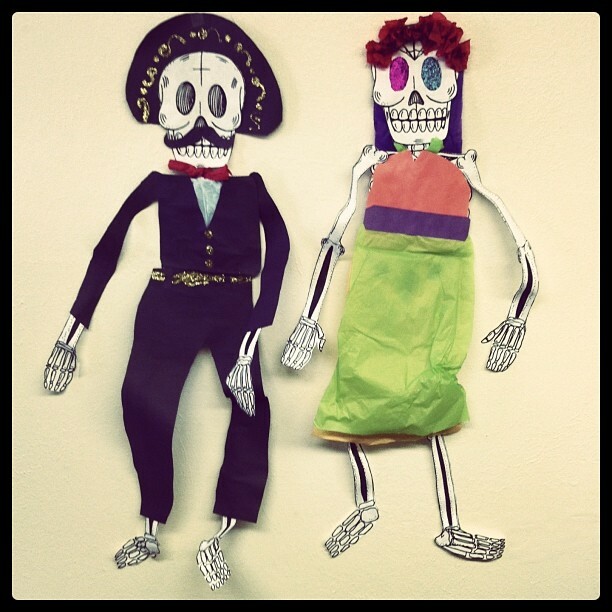 As many of you already know, literacy is one of my favorite ways to integrate cultural content, like Día de los Muertos, into a standards based curriculum. Not only does it reinforce the reading or writing skills that we work on throughout the year, it’s also a way to help ensure that we don’t fall into that trap of the “Tourist” approach to multicultural education. Too often when we teach this kind of cultural content, it appears to our students that we’re taking a break from our ‘real’ curriculum to do something fun. While these units can and should be fun, it shouldn’t appear that they’re not authentic and important parts of our curriculum. By combining this content with types of literacy activities done throughout the year, students don’t see these projects as less important than any others.